Friday – another day of discovering part of Britain’s history in which a good public school education ables me to relate to the statues and attractions that we plan on seeing today. 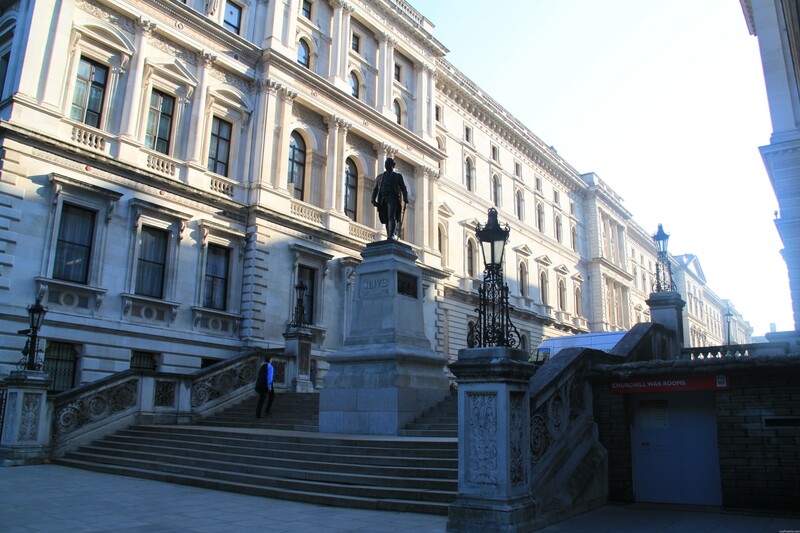 Leaving our hotel nice and early – we make our way to our first stop – Churchill’s War Rooms. We arrive around 9am and as the rooms do not open until 9.30am this extra time gives us the chance to investigate the statue of Clive of India and also the Memorial to those who perished in the Bali bombings of 2002 – both of which are close by. Robert Clive – gained a post as a scribe in the East India Company in 1743, but reached India (1744) deep in debt after a prolonged voyage out to India. The foundations of the British empire in India were, it is said, laid by Robert Clive, known to his admirers as the “conqueror of India”. He is also famous for having a curry powder named after him. The Bali bombings occurred on 12 October 2002 in the tourist district of Kuta on the Indonesian island of Bali. The attack killed 202 people (including 88 Australians, 38 Indonesians, 27 Britons, 7 Americans and 6 Swedish citizens). A further 240 people were injured. 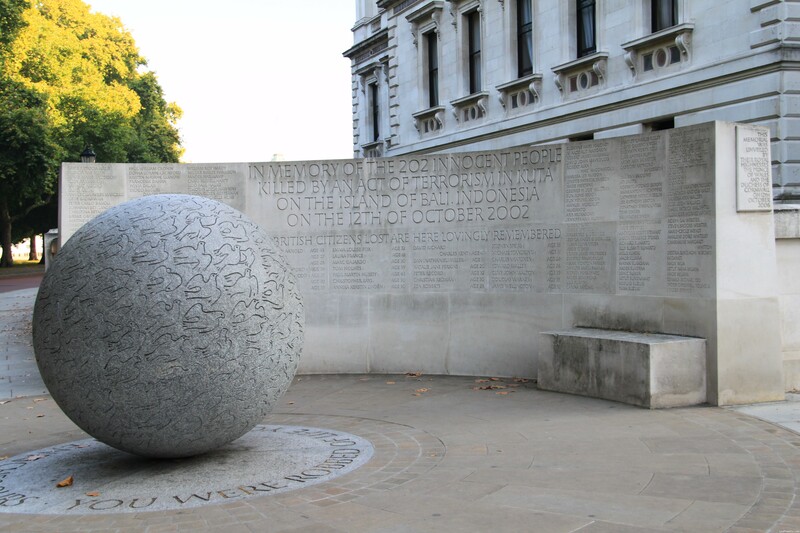 It is a sombre feeling to stand in front of this memorial and actually read the names of those innocents who perished at the hands of extremists. 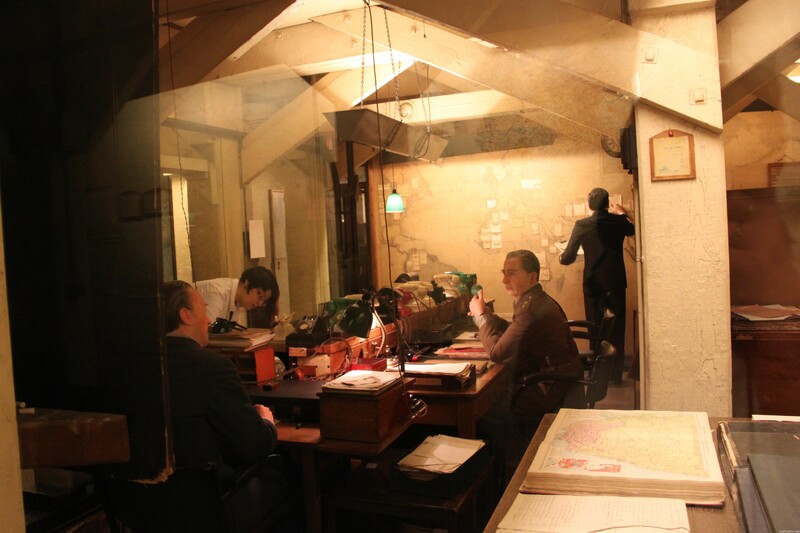 The Churchill War Rooms are now open so we step into another world – the world of London during WWII and the London Blitz. Everything has been left as it was in those days with the addition of displays and exhibitions. 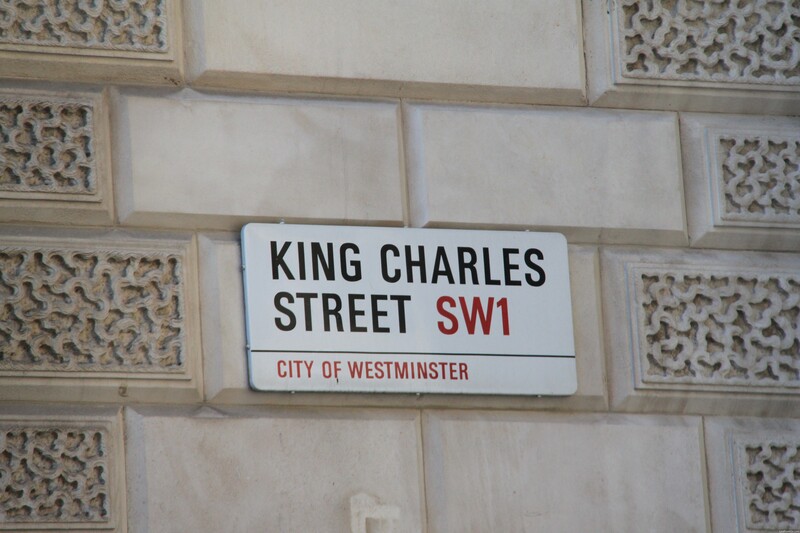 Reading the signs, we will discover the original Cabinet War Rooms and the underground headquarters that sheltered Churchill and his wartime government during the Blitz. 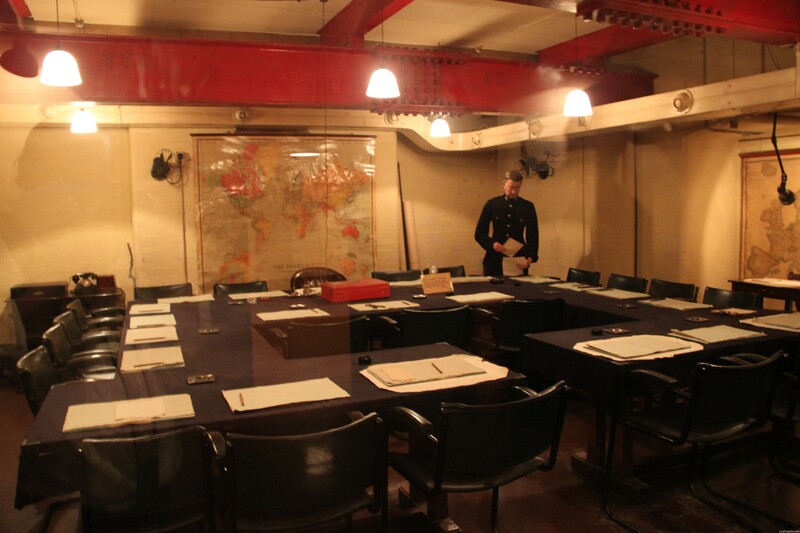 We will also explore the historic rooms that once buzzed with strategies and secrets, and visit the interactive Churchill Museum. 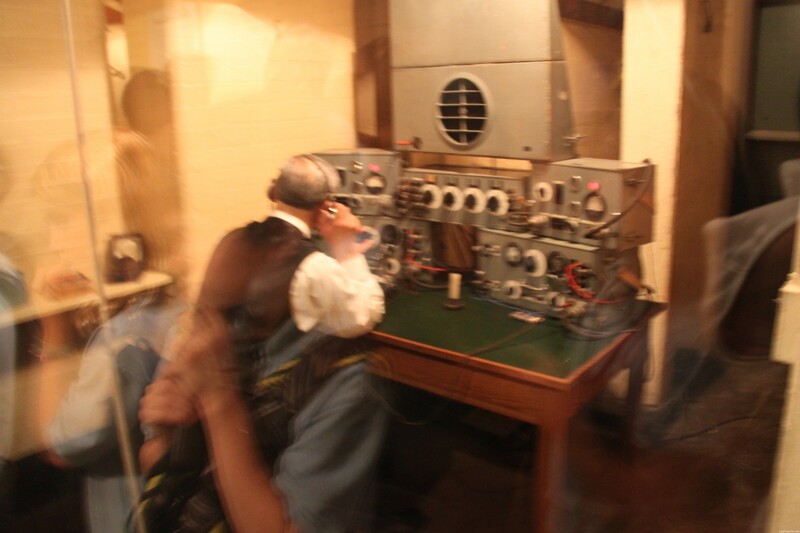 The rooms are fascinating – all the telephones and radios over which came the conversations that would shape the outcome of the War. The Map Room (right) where boundaries of attack and defense were outlined. After the ‘working’ rooms it is then time to explore the living quarters. I cannot imagine what it would be like to carry on my life down here when above me the city is being bombed. 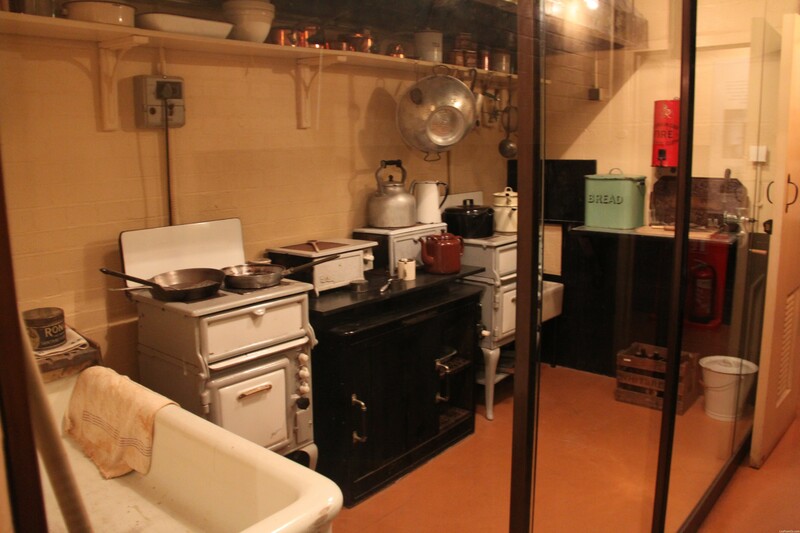 The Churchill Museum has a large display of Churchill memorabilia. 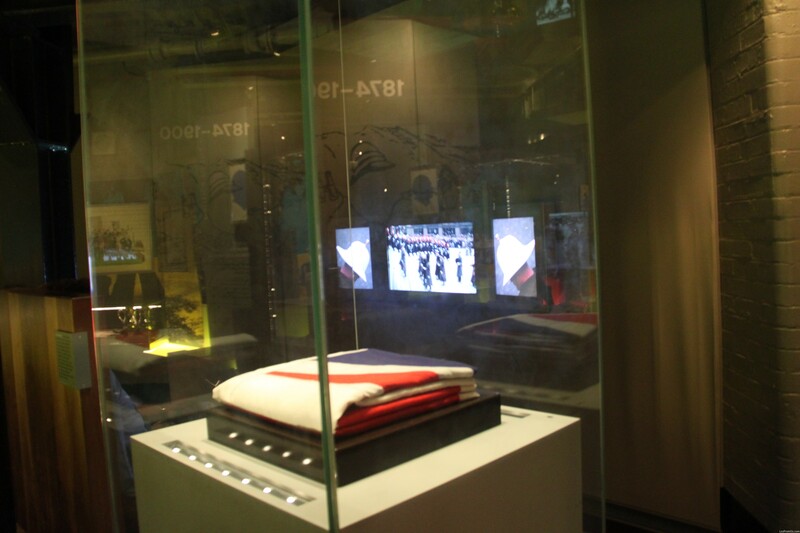 From his overcoat to the flag that was draped over his coffin – from the door of No 10 Downing Street to toby jugs and fob watches – a very interesting display. There is plenty of interactive material – and also the film made of Churchill’s funeral service. But time to join the living London. First stop Westminster Abbey but the queue and the price make us give this a miss. 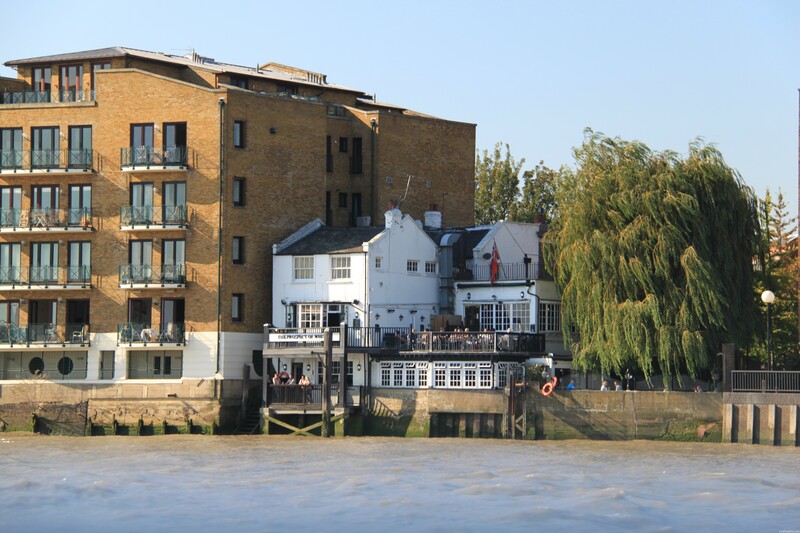 We have booked a River Red Rover Thames Cruise where will cruise from Westminster to Greenwich Pier and maybe hop off to have a look around. The day is heating up so if there is a nice breeze on the water it will be most welcome. Luckily when lining up to board we are in the shade although it is not a happy experience. So many people are standing in line waiting patiently until some mannerless morons decide that they will just walk past everyone and push in. Once maybe twice but after that I have had enough and tell them to get to the back of the line. Finally our cruise boat arrives and we head for a nice shady spot on the main deck. All the teeny boppers and Kontiki tourers head upstairs to be boiled in the sun. Are we showing our age? I don’t think so – just our sensibility. This is a hop-on-hop-off cruise so if we feel the need we can hop off and explore. Somehow I don’t think that is going to happen. 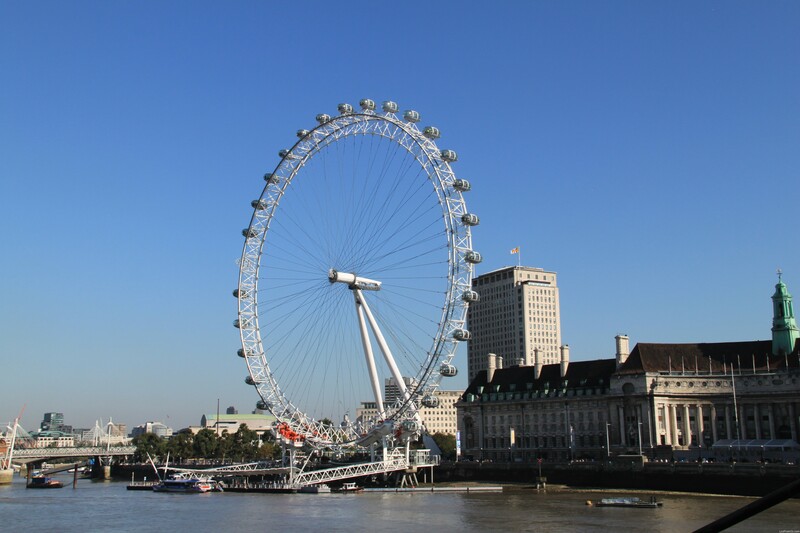 The London Eye is a giant ferris wheel ideal for seeing the sights of London and beyond. This is proven by the 3.5 million tourists that visit annually. It has had several names; the British Airways London Eye; Millennium Wheel and now the EDF Energy London Eye. The views from the top are incredible. It is definitely a ‘must do’ attraction, the height is not an issue as you will be rotating your head to see everything! The wheel rotates at 26 cm per second (about 0.9 km/h) so that one revolution takes about 30 minutes. 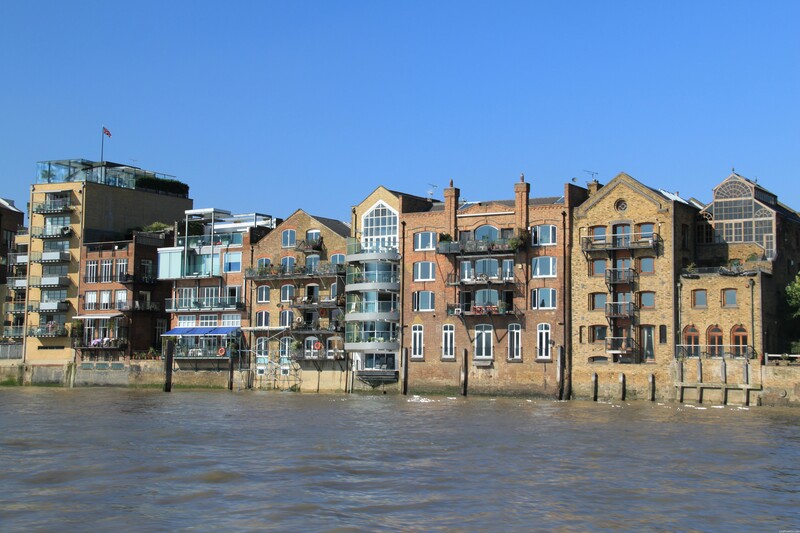 It is lovely cruising on The Thames – being on the water is always a good feeling even if the water is brown and murky. Underneath the Millennium Bridge which, as if by magic, has been repaired after being demolished by the Death Eaters in Harry Potter’s Deathly Hallows! 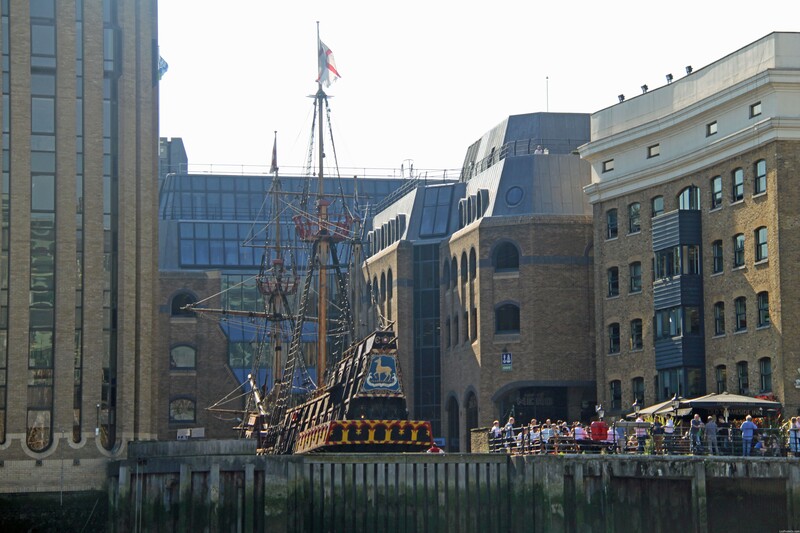 On the right is a replica of Francis Drake’s Golden Hind. Sir Francis Drake : Soldier, Seaman, Politician and Engineer is best remembered as an explorer. In The Golden Hind, he became the first Englishman to circumnavigate the globe in an epic expedition of plunder and discovery (1577-1580). 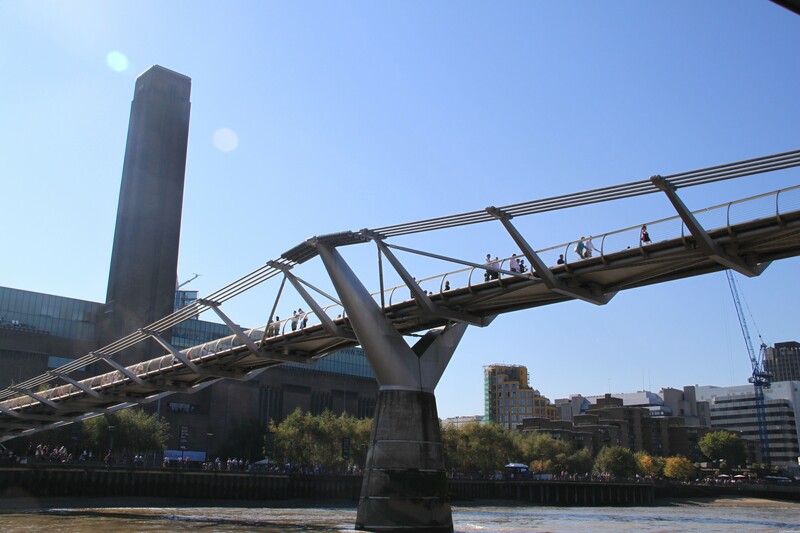 Another bridge under which to sail – London Bridge. 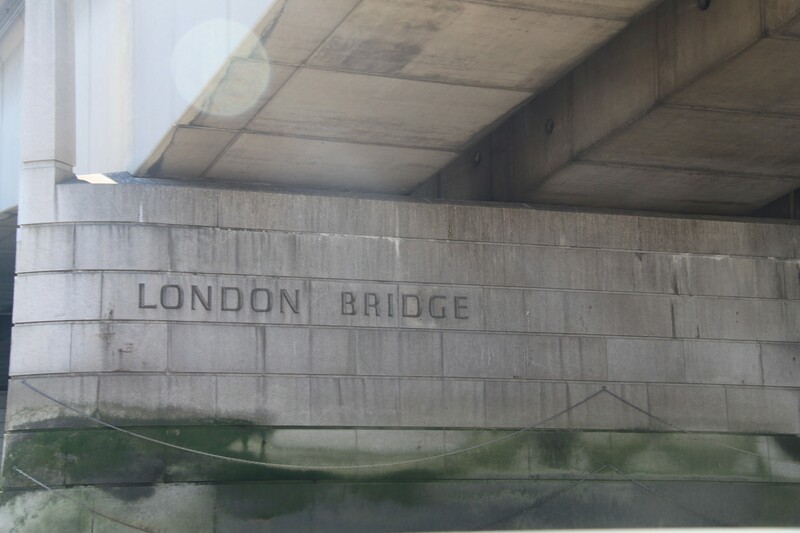 The earlier London Bridge was bought by the Americans who thought they were getting Tower Bridge – they certainly were in for a rude shock when they opened the parcel! Speaking of Tower Bridge – past The Tower of London on the left and under Tower Bridge, bit more cruising and we arrive in Greenwich. The day has really warmed up so we decide to stay in the shade of the boat and not get off to explore. 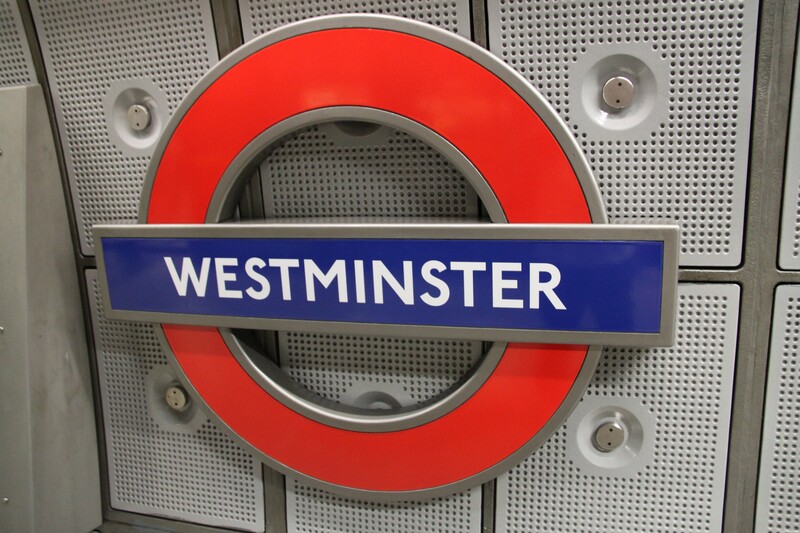 It is not long before we are on our way back to Westminster Pier. The Captain has a great sense of humour and keeps us amused with stories and jokes about different points of interest. We pass these tiny pubs – how cute are they? 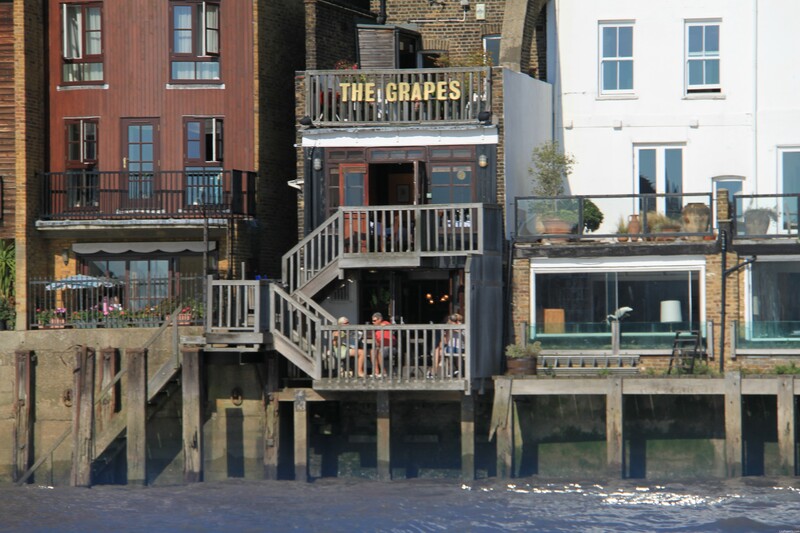 Wouldn’t it be great to be sitting there enjoying a nice cold glass of the grape? Yep, I could handle that with no trouble. 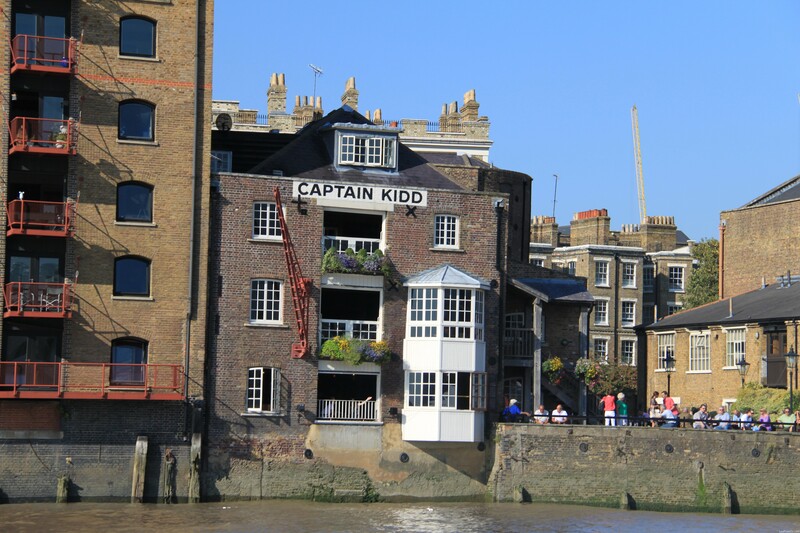 Speaking of which – here’s another – The Captain Kidd. Captain William Kidd (1645–1701), was a Scottish sailor who was tried and executed for piracy after returning from a voyage to the Indian Ocean. Kidd’s fame springs largely from the sensational circumstances of his questioning before the English Parliament and the ensuing trial. His actual pillaging and plundering on the high seas, whether piratical or not, were both less destructive and less lucrative than those of many other contemporary pirates and privateers. 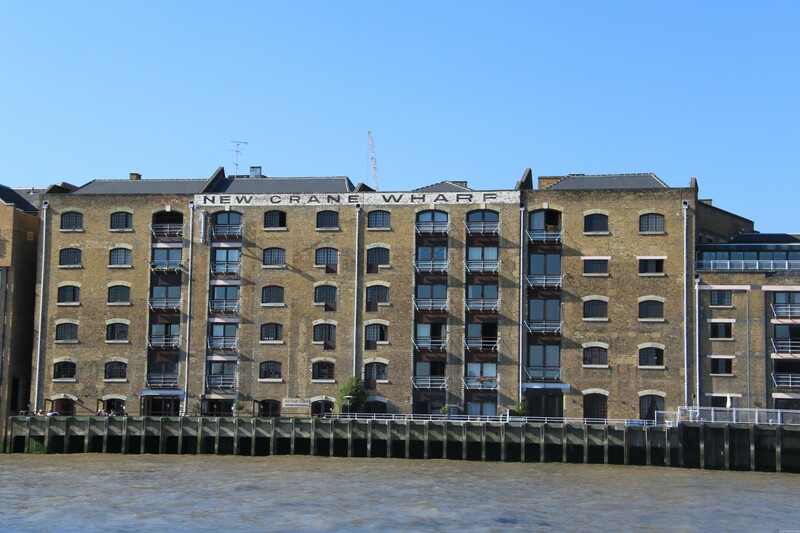 We pass many wharves which were in use when the sea-faring trade was a primary source of product. Today they seem to have been converted into units or apartments. Nice if you can afford it! Back into London centre – and time to head back to the hotel. Even though we have sat and relaxed for the past two hours or so we feel tired. Maybe it was sitting in the warmth and an occasional stream of sunshine that puts us in a sleepy mood. Maybe our holidays are starting to take toll on our tootsies and torsos! 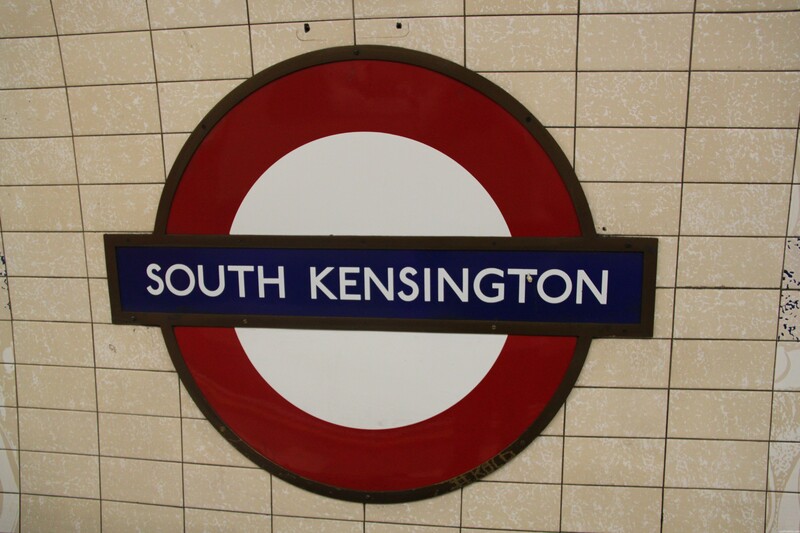 Good old London Underground – I love this transport system. I snap away at the stations we use to get back home – here is just a couple of them – enjoy. 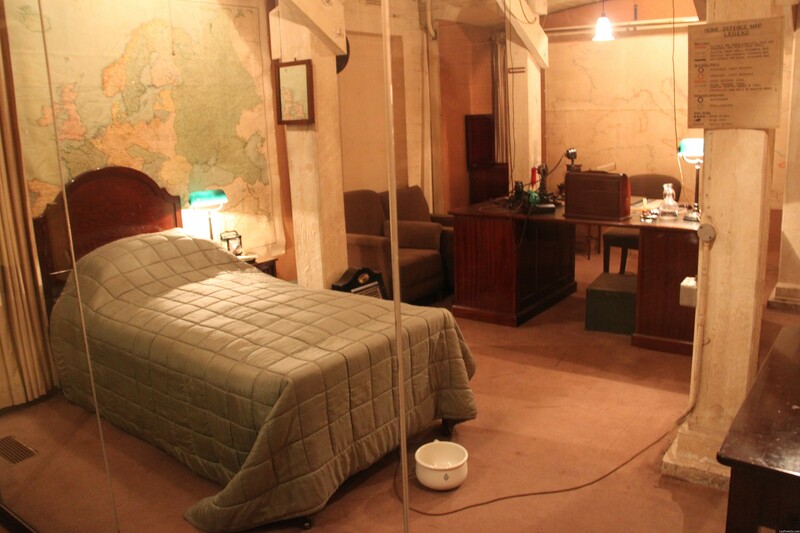 Highlight of the day : the history buff in me says Churchill’s War Rooms.